Infinite Art Tournament: The Reading List: "To the Lighthouse"
The sum total of what I knew about Virginia Woolf before starting this novel, outside of a few biographical tidbits that I know because she is a Famous Person, is: (1) she is considered a modernist, and (2) she has cred among feminist literary types. Also, I was a bit afraid of Virginia Woolf – one is almost obliged to make the joke – having dipped inside one of her other books and found it difficult. I expected In the Lighthouse to be one of the Reading List’s hurdles. Spoilers Start Here, for what they’re worth. I will now give a complete summary of the book. This will not really give away the plot, however, because the book doesn’t really have a traditional plot, and it won’t give away the ending, because the book doesn’t really have a traditional ending. Here goes: there’s this family of intellectuals spending a summer holiday at their cabin in the Hebredies. They putter about, and eventually have dinner. As they were getting up from dinner at about the 3/5 point, I thought “Wow, this book is going to take place entirely within a single evening.” When I turned the next page I saw a heading to the effect of “time passes,” and there follows an interlude in which time gradually accelerates, zips through ten years, and then decelerates again. The remainder of the book takes place ten years later, in the same location and with many of the same characters that we have met before. It is morning, this time, and one of the characters works on a painting while the others go for a ride in a boat. OK. So, if you want to take James Joyce as the touchstone of modernism, which is a fairly reasonable thing to do, To the Lighthouse is certainly modernist. Woolf shares Joyce’s rejection of traditional narrative and his focus on the micro-scale events of everyday life. Woolf is also, like James, more concerned with the interior life of her characters than their activities and interactions; most of To the Lighthouse is to a greater or lesser extent interior monologue that would not seem wildly out of place in Ulysses. The exception to this focus on interior life is the ten-year interlude. This section is remarkable not only for its sudden expansion of the passage of time, but because in it we leave the heads of the characters altogether and focus on the material condition of the beach cabin. Major events in the lives of the characters during the years of the interlude are mentioned, as if incidentally, in brackets. It's interesting that having these incidents mentioned parenthetically -- we get more than one announcement of a sudden death this way, for instance -- make them all the more jarring. On either side of the interlude, time passes in To the Lighthouse at somewhat slower than reading speed. This is in part simply because Woolf writes densely. In her attempt to mimic the flow of thought, she recognizes that thought moves at a rather dizzying speed, and that we are generally thinking about more than one thing at any given instant, and that we are all ambivalent in our feelings towards, well, everything. Any attempt to represent all this complexity on paper is bound to get a little difficult, and it generally takes us longer to read about a moment than it does for the character to experience it. But then too, Woolf often leaves her two main point-of-view characters and drops, possibly for just a few sentences or possibly for several pages, into the mind of a secondary character. When this happens, we often fall back in time to re-experience an event from a new perspective. These shifts give the flow of time a sort of two-steps-forward-one-step-back kind of quality. So, back to my expectations. To the Lighthouse certainly confirms Woolf’s modernist reputation. I would not expect this particular book to be unusually interesting to feminist critics, however. The two central characters, pre- and post-interlude, are women, to be sure, and they meditate insightfully about the behavior of men, and women, and men and women relative to each other, but I did not sense that the book was fundamentally about women’s experience. What the book was, however, is existentialist. In spades. Throughout the novel, we see people continually fail to bridge the isolation between human minds. Regardless of whether the parties involved are fond of each other or dislike each other bitterly, Woolf portrays social interaction as an ongoing parade of misunderstandings, missed connections, and messages that never get sent due to innumerable constraints: the rules of polite behavior, inability to articulate, fear of commitment to a future course of action, sense of commitment to decisions made in the past, fear of rejection, straight-out shyness, and so on. So, I don’t know: maybe Woolf is considered one of your major existentialists, and I just never got the memo. If this is a major literary discovery, on the other hand, I think it’s worth at least an assistant professorship. Job offers can be made in the comments. Prognosis: Rich, interesting, atmospheric, and provocative, but still a bit of a haul, I doubt that To the Lighthouse is really anyone’s favorite book. But neither was it as opaque as I’d feared it might be. Not a must-read, but recommended for literary types and maybe as a challenge to build up to for casual readers. I highly recommend The Waves as well. To the Lighthouse gets a little more press and gets taught to English majors because the literary pyrotechnics are the kinds of thing that are good fodder for writing papers. But The Waves has a much more interesting and thoughtful (IMO) examination of how people interact and internalize other people in a way that is a lot more interesting than the existential isolation you mention in To The Lighthouse. While it's also not exactly a light read, if you figured out how to read To The Lighthouse, you'll be well equipped for it. I thought this was a brilliant review. Do you teach literature? I will confess to attempting Mrs. Dalloway last year and quitting. Perhaps I'll give her another go some time. 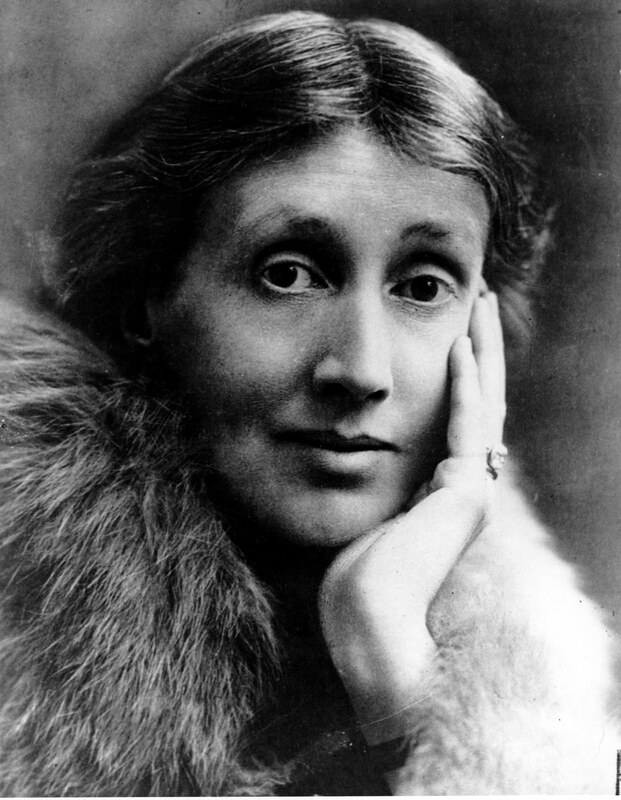 I really, really liked Mrs Dalloway when I first read it in 12th grade, but it didn't inspire me to read Virginia Woolf's other books. Your review hasn't, either. Jenners: Nah, you know I don't teach literature. I'm just trying to learn from literature. And when I rock up on the mic I rock the mic right. Eavan: I think "Mrs. Dalloway" was one that I thought was tooooo hard when I tried it before, so if 12th grade Eavan could handle it, Modern Eavan could probably have "To the Lighthouse" for breakfast. But only if she wanted to.